Some may think of February’s big nationally recognized day as the Hallmark holiday we all know as Valentine’s Day, but there are other days your company might be able to leverage for creative and compelling social media marketing posts. Bakers and restaurants might e inclined to celebrate World Nutella Day while others will be excited to celebrate Fat Tuesday. 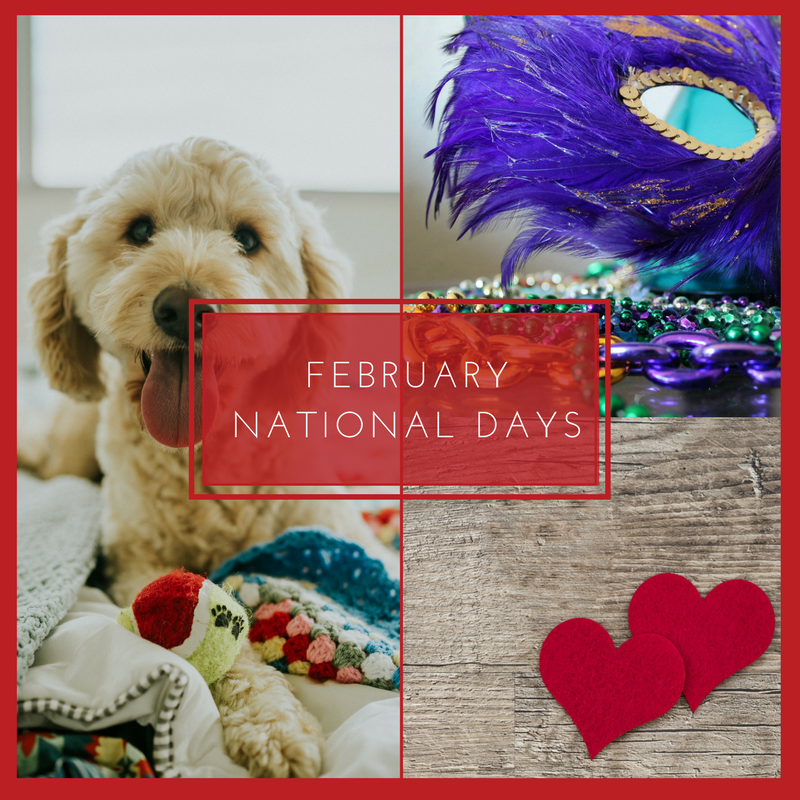 Regardless of how YOU choose to celebrate, national days are a great way to reach out to your clients and customers with some fun or more thought provoking social media posts and make for super simple social media content. Check out our list below (thank you National Day Calendar!) for relatable content as you plan for February social media content.